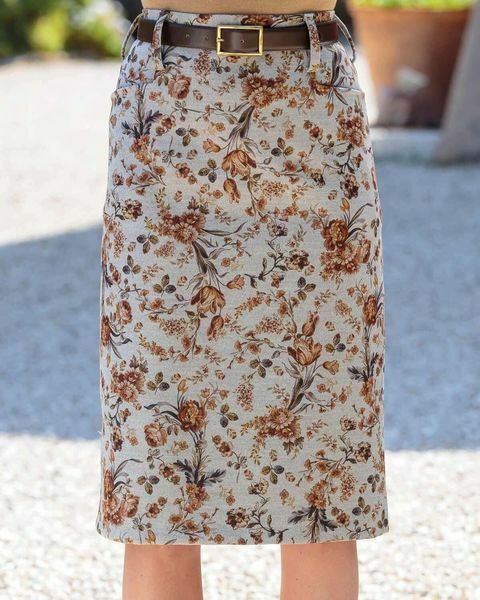 Ladies Carla Floral Straight Skirt. Cut from soft and warm poly mix. Straight skirt with back zip and button fastening with a centre back vent for ease of walking. Front pockets and belt loops. Vibrant floral design in muted Autumnal tones. Soft and warm 83% polyester, 16% viscose, 1% elastane. Style with any of our seperates for an elegant look.